What is Cheap Reseller Web Hosting? When you start looking for cheap reseller web hosting you have to know what you are looking for and what it really is. Getting hosting from a reseller basically means that you are going through a dealer instead of the source. The hosting source would be the hosting company and the actual reseller would be the dealer in this scenario. The good part about cheap reseller web hosting is that it is not expensive and that is about it. It is okay hosting depending on the company that the reseller has bought the hosting from. However, there are many issues that you do not want to deal with when it comes to cheap reseller web hosting. Why Cheap Reseller Hosting is Not for Internet Marketers? Those that are trying to become internet marketers or that already are know that you have to have hosting. You may be working on a budget, but hosting is not something you can go cheap on. This is why getting cheap reseller web hosting is not for you if you are an internet marketer. There are too many good hosting companies that you can choose from. 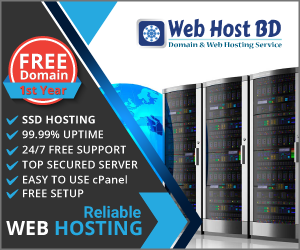 Most of the cheap reseller web hosting are not that much cheaper than going with the actual host and you will have more control over your account and website if you choose to go with a company like Web Host BD, HostGator or BlueHost. This will give you more options than if you choose to go with a cheap reseller web hosting account. The problem with reseller hosting is that you will most likely experience longer periods of downtime, which can cost you a lot of money. This is because when you have a problem with your site you have to go through the reseller instead of the hosting company. Then, you have to wait for the reseller to contact the hosting company. Another problem is that you will be limited on the amount of space and the upgrades you can use. With a reseller they may have only bought enough space for base packages and when you need more space you may not be able to get it. With an actual hosting company you can get as much space as you need whenever you are ready to upgrade. There is a third problem when it comes to cheap reseller web hosting and that is the maintenance of the actual server. The reseller is responsible for this task and they are typically too busy trying to find new business to actually deal with these types of tasks. This threatens the security of your website. When it comes to cheap reseller web hosting you can do better and it is not hard to do so. You can choose to go with shared web hosting, which will cost you between $4 a month and $15 a month depending on the package you choose or you can go to buy VPS web hosting, which runs from $5 a month up to about $100 a month depending on how much space you need. You can also choose to just rent a dedicated server for your websites and that will run anywhere from $100 a month all the way up to over $1,200 a month depending on the size of the server. All of these options have their benefits and they are all much better than cheap reseller web hosting.